Best CFA Calculator Comparison: TI BA II Plus or HP 12C? There are only two CFA approved calculators you are allowed to use during your exam: the Texas Instruments BA II Plus and Hewlett Packard 12C. While these two calculators serve the same purpose, they are designed differently and each has its own set of pros and cons. When it comes to the HP 12C vs. BA II plus, which financial calculator is best for the CFA? 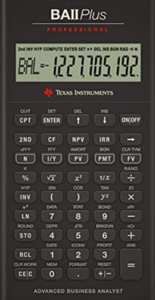 There are two specific models of this calculator that are approved for the CFA — the Texas Instruments BA II Plus and Texas Instruments BA II Plus Professional. What is the difference between the BA II plus and the professional version? Let’s start with the basic version. For most candidates, this is a relatively inexpensive financial calculator that can perform popular financial calculations such as IRR and NPV. 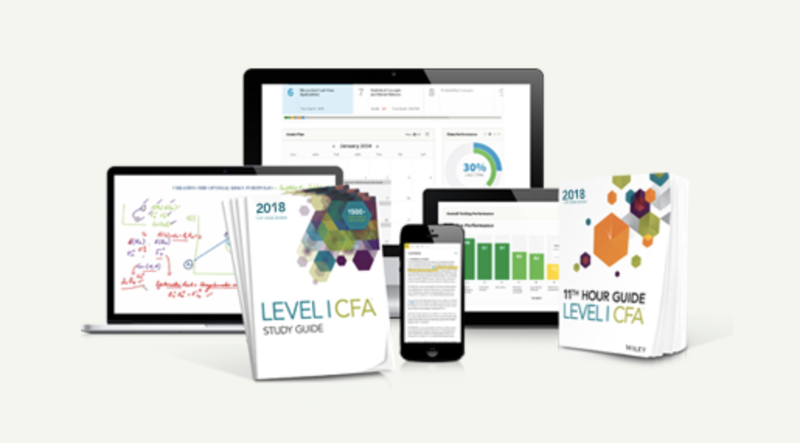 This is good enough for any financial course, and a great option as a recommended calculator for CFA level 1. You can see this as a relatively inexpensive financial calculator that performs all basic financial calculations (e.g., IRR and NPV). This calculator is good enough for any financial course and the CFA exam. When deciding between the Texas Instruments BA II Plus vs. Professional model, the professional version has a more solid case. The keypad is less flimsy, but there are still some complaints of the keys being too hard to press or too slow to register. Overall, the design is superior to the basic version as long as you don’t mind paying more. This calculator was designed using Reverse Polish Notation (RPN) — expect to learn another “language” in order to use this calculator. More expensive than the Texas Instrument calculators. The HP12C Platinum Edition is a faster, enhanced version, (e.g., 6 times faster speeds for calculating TVM, loan payments, interest rates, standard deviation). 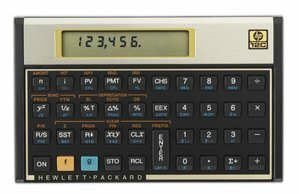 In the past, my preferred calculator was the HP 12C because everyone in the office carried it. Unfortunately, it is not the most intuitive of devices and more time is spent studying the instruction manual and practicing RPN, rather than actually studying the content itself. 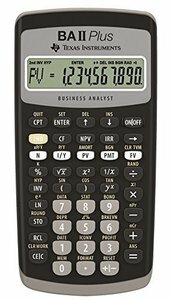 If you haven’t gotten one yet, the TI BA II plus is really the best calculator for the CFA exam. It is much easier to use and more affordable. While the TI BA II plus may require more keystrokes to perform calculations like the NPV, the extra 0.5 seconds longer it takes to complete the computation will not make any difference in your exam. 1. 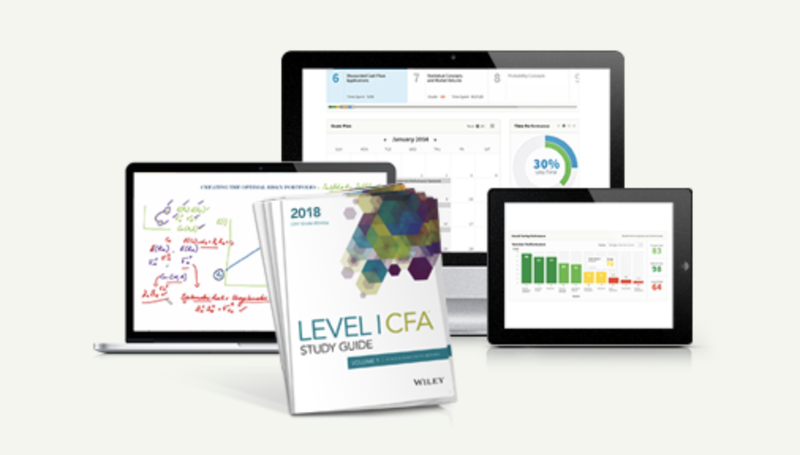 Is there a specific CFA Level 1 calculator? No, there isn’t one specifically for Level 1. You can use the same one for all three levels of this exam. 2. Can I bring a financial calculator other than TI BA plus or HP 12C? It may make sense to buy a used calculator to save a few dollars, but in this instance, the calculator may not function properly and you won’t have a warranty to get it fixed. Even if it works fine, you can’t be certain that the battery will be operational and this could end up costing you even more. The TI BA II plus costs around $30, which is pretty much a drop in the bucket when compared to your entire CFA investment. I would definitely recommend getting a new one. Calculators are not available for purchase at the CFA testing centers. You must get one before the exam date AND remember to bring it along. Please note that instruction manuals are not permitted at the exam site. While you are allowed to bring spare batteries and even a small screwdriver for the replacement, we highly recommend that you get this done before the exam day. Keep your desk clean and tidy, and keep the proctor happy. Get these CFA Calculator Discounts before It’s Too Late!